Vail Mountain, the largest ski resort in the United States, has already begun making plans for its 50th anniversary in December 2012, by announcing the planned installation of a new, state-of-the art gondola to replace the Vista Bahn Express Lift (#16) inVailVillage. The new gondola, which will have the number “1” to commemorate Vail’s original gondola in that location, will provide a 40 percent improvement in uphill capacity over the existing Vista Bahn Express Lift (#16) – the highest of any gondola inNorth America. The state-of-the-art gondola, the first installation of its kind inNorth America, will offer new features, such as free Wi-Fi access for guests. “The new gondola in Vail Village will provide the final touch to Vail’s multi-billion dollar renaissance over the past decade, which has been the result of an incredible partnership between Vail Resorts, the Town of Vail and the entire Vail community,” said Andy Daly, mayor of the Town of Vail. “These investments have ensured Vail’s leadership position in the resort industry for many years to come. The new gondola will be located in the same location as the existing lift and will reach the same location at Mid-Vail. The gondola is a state-of-the-art lift replacing the technology of the existing high-speed quad lift that was installed in 1985, approximately 26 years ago, and reintroducing a gondola to VailVillagenot experienced since the 1970s. The gondola is proposed to be installed in the spring and summer of 2012 and be operational for opening day of the 2012-2013 ski season, just in time to celebrate the 50th anniversary of Vail. The new gondola is subject to Town ofVailand U.S. Forest Service approval. Additional details on the design and approval of the proposed gondola will be available in the coming months. Bud Light Street Beat is back for its 13th season! Brought to you by the Vail Valley Foundation, Thursday nights starting at 6:30pm in Vail are always full of free music and fun. This free concert series takes place on the streets of Vail through April 12,2012. Locals can register to win a Volvo XC70 3.2 AWD car! The U.S. will not become a nation of renters; there are just too many benefits, both financial and otherwise, to own versus rent. That’s according to the combined findings of several recent studies presented during the “Buyer or Renter Nation?” session held during the 2011 REALTORS® Conference & Expo last week. An analysis over a 31-year period across 23 metropolitan areas compared the ownership benefits in terms of appreciation and interest deductibility and the costs homeowners incur with down payment, taxes, insurance and maintenance. When it was assumed that renters reinvested any savings in rent (versus a higher monthly mortgage payment), maintenance and down payment, renters had a greater portfolio than buyers in 91 percent of the areas examined. However, when the model allowed renters to spend any savings rather than reinvest those savings, 84 percent of buyers came out ahead. According to the most recent data from the Federal Reserve Board, a homeowner’s net worth is 45.9 times that of a renter’s. Another analysis conducted by Johnson, Beracha, Hilla Skiba and Mark Hirschey determined that housing affordability is at record levels. Twenty-three states are at 30-year record levels of affordability based on price-to-income ratios, and all 50 states are at 30-year record affordability levels based on mortgage payment-to-income ratios. “Homeownership is more affordable today than at anytime over the last 30 years,” said Johnson. Beyond the financial advantages of homeownership, Johnson also cited several studies that have demonstrated how homeownership enhances civic pride, improves voter turnout, increases personal happiness, reduces crime, and provides a better familial environment. “These findings are no surprise to REALTORS®,” said NAR President Ron Phipps. “We, like the nation’s 75 million homeowners and many other who aspire to one day own a home, know homeownership is an investment in the future of our families, communities, and nation. That is why we will continue to fight for public policies that promote responsible, sustainable homeownership; we believe that anyone who is able and willing to assume the responsibilities of owning a home should have the opportunity to pursue that dream. Sales of bank-owned properties and “short” sales are driving the county's down valley real estate market. In the lower valley, and especially in Gypsum, there are some bargains available. One bank-owned property is worth more than $180,000 on the county's property-tax rolls. It's on the market at $104,900. An older single-family, one-bedroom home there is listed for less than $90,000. There were 132 completed real estate sales in the county in September, the highest one-month total since October of 2008. But three years ago, those sales totaled more than $165.3 million. The total for September of this year was just less than $83 million. In fact, September's sales volume was only 35 percent of the total recorded in September of 2010 on 18 fewer sales. Bank-owned property — about 20 percent of September's total — seems to be moving pretty quickly. In the Vail Multiple Listing System there are currently a total of 29 Bank owned properties listed for sale as of 11/10/2011. Bank owned can be a perceived value but Buyers should also consider there is value in regular properties for sale. As a result, house payments are more affordable than they have been in decades. The National Association of Realtors Housing Affordability Index hit 183.7 in August, near its record high in data going back to 1970. The index's historic average is roughly 120. A reading of 100 would mean that a median-income family with a 20% down payment can afford a mortgage on a median-price home. So today's buyers can afford handsome houses—but prudent ones might opt for moderate houses with skimpy payments. Hands down, the biggest barrier to being a homeowners is saving up for a down payment (though this isn’t necessary a bad thing ’cause you should be putting at least 20% down. Letting people buy with zero down was one of many things that got us into this mess of a housing crisis). This especially rang true for Millennials (18-34 year olds) – 62% said this was among the biggest hurdles that they faced in trying to buy a home. On the flip side, qualifying for a mortgage and having a poor credit history were a bigger concern among Gen X’ers (35-54 year olds). Rate on 30-year mortgage falls to record 4.09 pct. WASHINGTON—Fixed mortgage rates fell to the lowest level in six decades for the second straight week. But few Americans can take advantage of the historically low rates. Freddie Mac said Thursday that the average rate on the 30-year fixed mortgage fell to 4.09 percent this week, down from 4.12 percent. That's the lowest rate seen since 1951. The average rate on the 15-year mortgage, a popular refinancing option, fell to 3.30 percent from 3.33 percent. Economists say it is likely the lowest rate on the 15-year ever. Mortgage rates tend to track the yield on the 10-year Treasury note. Worries over Europe's debt crisis are pushing investors to shift money into safe Treasurys, forcing the yield lower. Over the past year, the average rate on the 30-year fixed mortgage has been below 5 percent for all but two weeks. That compares with five years ago, when the average 30-year fixed rate was near 6.5 percent. A decade ago, it exceeded 8 percent. Still, cheap mortgage rates haven't helped home sales. Sales of new homes are on pace for the worst year on records dating back a half-century. The pace of re-sales is shaping up to be the worst in 14 years. Many Americans are in no position to buy or refinance. High unemployment, scant wage gains and large debt loads have kept them away. Others can't qualify. Banks are insisting on higher credit scores and 20 percent down payments for first-time buyers. Some homeowners have too little equity invested in their homes to meet loan requirements. Most people must also pay extra fees to get the low mortgage rates. Those fees are known as points, with one point equaling 1 percent of the total loan amount. The average fees for the 30-year held steady at 0.7 point. Fees paid on 15-year fixed loans and both 5-year and one-year adjustable rate loans were all at 0.6 point. Once fees are factored in, the average rate on the 30-year loan rises from 4.09 percent to 4.25 percent, Freddie Mac said. A drop in mortgage rates could provide some help to the economy if more people could refinance. The Obama administration is looking at expanding a government program to help more eligible homeowners refinance. When people refinance at lower rates, they pay less interest on their loans and have more money to spend. But many homeowners with good jobs and stable finances have already refinanced in the past year. The average rate on the 30-year fixed loan fell to 4.17 percent last November, and to 4.15 percent last month. Both were previous lows. Homeowners typically pay a few thousand dollars in closing costs when they refinance. To refinance again, most experts say rates would need to fall an additional 1 percentage point to make it worthwhile. The average rate on a five-year adjustable-rate mortgage rose to 2.99 percent. That's higher than last week's 2.96 percent, the lowest records dating to January 2005 and the sixth straight week of record lows for this type of loan. The average rate for the one-year adjustable-rate mortgage fell to 2.81 percent from 2.84 percent. That's the lowest on records going back to 1984. The economy hasn't magically turned around enough for Vail Resorts to break ground on its $1 billion Ever Vail project, but the company hasn't changed its intent to move the project forward as quickly as possible. About 50 town of Vail meetings later, Vail Resorts Development Co. is still trucking along with its five development applications relating to the proposed Ever Vail project. The applications include rezoning and master plan amendments. The company and the town of Vail will reach an important milestone Sept. 20 when discussions are scheduled to begin about the development agreement, a time when negotiations between the town and the resort company are expected to heat up around issues like parking and economic impacts. The town isn't likely to approve any of the five applications without first working on the development agreement. “I think getting into the (development agreement) discussions sooner than later will facilitate the entire approval process,” Councilman Andy Daly said at the council's Aug. 16 meeting. The town of Vail first saw the Ever Vail project in 2007, proving that the time it takes for a development of this size and scale to move through town approvals is lengthy. Vail Resorts knew it would be time consuming but the company never backed down, even as the national economy crashed in 2008 and local construction and real estate industries took a nose dive along with it. The resort company wants to get its approvals in place, even as the stock market continues on the roller coaster ride of recent weeks and local real estate inventory remains high. Kristin Kenney Williams, spokeswoman for Vail Resorts Development Co., said the company's confidence in an economic turnaround lies in the fact that the company remains committed to getting its town of Vail approvals for the project. The Ever Vail application includes plans to build a gondola from West Lionshead to Eagle's Nest, an underground mountain operations facility, 670 public parking spaces, 102 hotel rooms, on-site employee housing, a specialty grocery store, a live music venue, a transit center, deed-restricted and free-market condominiums, and Vail Recreation District space. The project would be built on a 12-acre site in West Lionshead and would require the demolition of the office buildings there now. The project would also mean the South Frontage Road, which curves through West Lionshead between the Ritz Carlton Residences and the current Vail shop yard, would be realigned so it remains straight and parallel to Interstate 70 all the way through the town of Vail from west to east. That important step would be the first phase of the project, Chief Operating Officer and Senior Vice President for Vail Resorts Development Co. Alex Iskenderian told the Vail Town Council at its last meeting. At this point, that phase wouldn't happen until the spring of 2013 at the earliest, he said. “It's very much reliant on what the economy does, what the real estate market does, how quickly we can sell through the existing inventory that exists in Vail right now — the significant, high-end real estate inventory that exists in Vail right now,” Iskenderian said. The Colorado Department of Transportation hasn't officially approved the South Frontage Road realignment as of yet, either, but Kenney Williams said the indication is that the department will support it. Town of Vail Community Development Director George Ruther said the relocation of the Frontage Road will be a major milestone in the eyes of the town. That step would be the indicator that the company is ready to break ground on the next phase of the project, also signifying the company's confidence in the overall economy, he said. If the Frontage Road is realigned in the spring of 2013, the earliest the company would begin building other phases of the project, such as the underground maintenance facility or the hotel and parking components, would be the spring of 2014, Iskenderian said. The reason the company hasn't pursued the final CDOT approvals is because there's a two-year life span on the Frontage Road realignment approval and Vail Resorts isn't ready for that clock to start ticking, he said. With the development agreement process about to begin, the clock will begin ticking on the project's five application approvals, however. Kenney Williams is still hopeful the approvals could happen before the end of the year, and Ruther said he can't foresee anymore delays. She points to the success of Solaris, the Ritz-Carlton Residences in Vail and the Four Seasons as proof that Vail visitors want what's new — the town had record sales tax revenues at times throughout the winter and the resort broke skier visit records, too. Eagle County real estate ended the quarter with 620 overall transactions, just 2 above the total for 2010 through the same time period. While transactions have remained constant, the dollar volume has slipped 18% versus 2010. The main contributor to the constant transactions and falling volume are the continued bank sales. So far this year there has been 129 bank sales; which is 21% of the overall market. However, these numbers translate to just 7% of our total dollar volume ($42,386,000). The combination of these numbers means a lower average sales price for the County as a whole. The average price for the bank sales has been $328,573. While the bank sales have had an impact on our overall market; we continue to see sales in the high end market as well. So far this year, there have been 20 transactions over $5 million. At the height of our market in 2007 there were 24 transactions over $5 million and in 2008 there were 31 through the same time period. Many of these high end sales for 2011 were from the new developments. GREENWICH, CT – August 15, 2011 – East West Partners and Starwood Capital Group, a leading private investment firm focused on global real estate and energy, announced today that they have entered into a joint venture focused on the continued revitalization of downtown Denver and potentially other urban development. The joint venture anticipates initially focusing its activities in the emerging LoDo area of Denver where the partnership has control of several important sites targeted to multifamily, office and hotel use, and ultimately expanding into other select urban markets. East West Partners has contributed select assets it owns in Denver including a number of undeveloped sites in the Union Station neighborhood. Union Station will become Denver’s new transit hub with almost $500 million of public investment in light rail, heavy rail and bus infrastructure. "We are excited to kick off this partnership with East West by investing in one of the top transit oriented downtown development projects in the U.S.," said Ethan Bing, Vice President of Starwood Capital Group. "The combination of East West Partners’ urban development experience and Starwood Capital's real estate expertise and capital resources should result in great opportunities for both firms," said Marc Perrin, Managing Director of Starwood Capital Group. "With Starwood Capital Group as our partner we now have the financial capability to begin new development in downtown Denver and expand to other select national markets," said Mark Smith, Founding Partner of East West Partners-Denver. The operations of Union Station Neighborhood Company, a joint venture of Continuum Partners and East West Partners, will continue as they have since Union Station Neighborhood Company was selected in 2006 as the master developer for the redevelopment of the 20-acre Union Station project. Starwood Capital Group is a private, U.S.-based investment firm with a core focus on global real estate. Since the group’s inception in 1991, the firm, through its various funds, has invested over $9 billion of equity capital, representing nearly $28 billion in assets. Starwood Capital Group currently has approximately $18 billion of assets under management. Starwood Capital Group maintains offices in Greenwich, Atlanta, San Francisco, Washington, D.C., and affiliated offices in London, Luxembourg, Paris, Mumbai and Sao Paulo. Starwood Capital Group has invested in nearly every class of real estate on a global basis, including office, retail, residential, senior housing, golf, hotels, resorts and industrial assets. Starwood Capital Group and its affiliates have successfully executed an investment strategy that includes building enterprises around core real estate portfolios in both the private and public markets. For more information about Starwood Capital Group, visit www.starwoodcapital.com. East West Partners is a privately held Colorado firm that has developed over $5 billion in real estate in select resort and urban US markets over the last 25 years. Starbucks, which was forced to shutter hundreds of locations during the recession, is back in growth mode. What changed? Mostly, the stock market, retailers and analysts said, as well as a good bit of shopping psychology. Even with the sharp drop in stocks over the last week, the Dow Jones is up about 80 percent from its low in March 2009. And with the overall economy nowhere near its recession lows, buying nice, expensive things is back in vogue for people who can afford it. Caroline Limpert, 31, an entrepreneur in New York, says she is happy to spend on classic pieces, like the Yves Saint Laurent tote she has in both chocolate and black, but since the recession, she avoids conspicuous items. The recent earnings reports of some luxury goods retailers and automobile companies show just how much the high-end shopper has been willing to spend again. Tiffany’s first-quarter sales were up 20 percent to $761 million. Last week LVMH, which owns expensive brands like Louis Vuitton and Givenchy, reported sales growth in the first half of 2011 of 13 percent to 10.3 billion euros, or $14.9 billion. Also last week, PPR, home to Gucci, Yves Saint Laurent and other brands, said its luxury segment’s sales gained 23 percent in the first half. Profits are also up by double digits for many of these companies. Apparel stores are holding near fire sales to get people to spend. Wal-Mart is selling smaller packages because some shoppers do not have enough cash on hand to afford multipacks of toilet paper. Retailers from Victoria’s Secret to the Children’s Place are nudging prices up by just pennies, worried they will lose customers if they do anything more. While the free spending of the affluent may not be of much comfort to people who are out of jobs or out of cash, the rich may contribute disproportionately to the overall economic recovery. Just a few years ago, luxury retailers were suffering. Too many items were chasing too few buyers, and high-end stores began cutting prices. As a result, consumers awaited 70 percent discounts rather than buying right away. Sales of luxury goods fell 17.9 percent in October 2008 from a year earlier, SpendingPulse said, and double-digit declines continued through May 2009. Now, many stores are stocking up on luxury items, as shoppers flock to racks of expensive goods. In 2008, for example, the most expensive Louboutin item that Saks sold was a $1,575 pair of suede boots. Now, it is a $2,495 pair of suede boots that are thigh-high. Crème de la Mer, the facial cream, cost $1,350 for 16 ounces at Bergdorf Goodman in 2008; it now costs $1,650. “I think that she’s willing to pay whatever price the manufacturer and the retailer deem appropriate, if she sees that there’s intrinsic value in it,” Mr. Katz said. Goyard bags, in addition to having a distinctive pattern, will usually run a few thousand dollars. And, yes, they are selling out quickly. The Eagle County average sales price for all unit types for June 2011 was $987,238. 30% of the sales were under $1 million; 30% were over $5 million. Five years after housing's peak, markets that once were out of sight even for well-heeled buyers are now in range. On Hilton Head Island, S.C., a three-bedroom home nestled between the Atlantic Ocean and Calibogue Sound changed hands in April for $750,000, after having sold for $1.2 million in June 2006. In Vail, Colo., a three-bedroom home that fetched $3.3 million in 2008 sold in February for $2.5 million. Overall, the median second-home price was $150,000 in 2010, down 11% from 2009 and roughly 25% from 2006, according to the National Association of Realtors. That isn't pretty, but it is only slightly worse than the 22% drop for the overall housing market. The higher end of the market—homes in the $5 million-plus range—has held up better, says Douglas Duncan, chief economist at Fannie Mae. "At the top of the market, particularly luxury homes, prices have proven very elastic, and have sprung upward quickly," he says. Buyers are taking heed. On Palm Beach Island, Fla., sales were up 50% in the year ending June 30. Transactions in the Hamptons, on New York's Long Island, jumped 59% in the second quarter from a year earlier. In Aspen, Colo., sales for the year ending May 31 were up 10%. The number of people looking at properties is up as well: In Vail, Hilton Head and Palm Beach, foot traffic has jumped by at least 30% this year, according to local real-estate agents. "People have frugality fatigue," says John Burns, president of John Burns Real Estate Consulting Inc. in Irvine, Calif. This isn't to suggest the boom is back. In general, properties situated in prime locations—on the water or near a ski slope—are selling well, but homes in less desirable spots are languishing on the market. Banks are increasingly wary of making second-home mortgages, particularly "jumbo" loans above federally guaranteed limits; 10% of banks raised their standards on such loans last year, according to the Federal Reserve. And the tax deduction for mortgage interest on second homes is at risk of being cut back. Geography is the best guide to today's vacation markets: In some places prices are holding up, while in others they are still tanking. The other market is still very much in crash mode. In places like Miami, Fla. and even Martha's Vineyard, Mass., prices have continued to drop as foreclosed properties flood the market. But bargains abound as sellers cut their asking prices or accept less to unload properties. In March, for example, a three-bedroom home on Palm Beach Island, Fla., listed for $4.6 million sold for just $2.5 million. With the broader housing market still so sick, it might seem the height of folly to jump into such unpredictable investments now. Even in blue-chip markets there isn't a guarantee of price appreciation anytime soon. Indeed, over time vacation-home markets don't do noticeably better than primary-home markets. Homes on Martha's Vineyard appreciated by 40.9% over the past 10 years, edging out Boston's 40.5%. But Hilton Head's 15% gain was trounced by nearby Charleston, S.C.'s 25.4% rise. Then again, most vacation-home buyers aren't looking to make big investment profits. More than 80% of second-home buyers surveyed by the National Association of Realtors in May reported that they bought for consumption reasons—to live in the house and enjoy it. And many second-home buyers are wealthy enough to pay in cash, sidestepping the restrictive and time-consuming mortgage process. Last year, 36% of vacation-home transactions were all-cash deals, up from 29% in 2009, according to the National Association of Realtors. "If you have cash right now, you are in unique position," says Paul Dales, senior U.S economist with research firm Capital Economics. In Eagle County, we live longer and we live better than almost anyone else in the United States. Eagle County men can expect to live to 79.1 years old, up from 72.8 in 1987. Eagle County women will live to 83.1, up from 79.6 in 1987. That's longer than almost any place else in the country, and almost as long as anywhere on earth, according to a study from the University of Washington. “We live a long time because of our healthy behaviors. 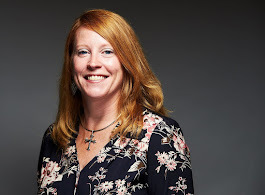 It prevents chronic diseases and death from things like lung cancer that results from smoking and obesity that results from eating too much, eating badly and never exercising,” says Rebecca Larson, who handles public health for Eagle County's Health and Human Services department. And we seem to be getting healthier faster than almost anyone else, the study found. The rates of improvement for Eagle County men are the best in Colorado. Only 14 percent use tobacco, compared to 19 percent statewide. Only 13 percent are obese, compared to 19 percent statewide, and Colorado has the lowest obesity rate in the nation. Thirty five percent of Eagle County adults report that they get their five servings of fruits and veggies per day, compared to 25 percent statewide. Because we have a low obesity and smoking rate, we have low incidence of heart disease and diabetes, the kind of stuff that can lead to an early grave. The University of Washington study looked at more than 3,000 counties across the United States. Eagle County ranked 27th in life expectancy in the nation. Eagle County men ranked 37th. The only Colorado counties higher were Larimer for men, Summit for men, Pitkin and Douglas and Gunnison counties for both men and women. Between 1987-2007, Eagle County's life expectancy improved 6.3 years, more than almost anyone in the country. Pitkin County boasts a top-10 life expectancy — 84.2 years for women, 80 for men. Colorado is the most active state in the nation, and Eagle County one of the most active counties. Only 11.6 percent of Eagle County people are considered inactive. Steve Russell, director of the Western Eagle County Metropolitan Recreation District, said he's not surprised. “It's the opportunities we have to be active,” said Jamie Gunion, marketing director with the Vail Recreation District. It's a lifetime range of activities, Gunion said. The most current county-level analysis finds large disparities nationwide. Women fare worse than men in improving their life expectancies, and people in Appalachia, the Deep South, and Northern Texas live the shortest lives. People in Japan, Canada, and other nations are enjoying significant gains in life expectancy every year, most counties within the United States are falling behind, according to the Institute for Health Metrics and Evaluation (IHME) at the University of Washington. Researchers found that between 2000 and 2007, more than 80 percent of U.S. counties fell, compared to the average of the 10 nations with the best life expectancies in the world. The researchers suggest that the relatively low life expectancies in the U.S. cannot be explained by the size of the nation, racial diversity, or economics. Instead, the authors point to high rates of obesity, tobacco use, and other preventable risk factors for an early death as the leading drivers of the gap between the U.S. and other nations. Five counties in Mississippi have the lowest life expectancies for women, all below 74.5 years, putting them behind nations such as Honduras, El Salvador and Peru. Four of those counties, along with Humphreys County, Miss., have the lowest life expectancies for men, all below 67 years, meaning they are behind Brazil, Latvia and the Philippines. Women live the longest in Collier, Fla., at 86 years on average, better than France, Switzerland and Spain. Men live the longest in Fairfax County, VA, at 81.1 years, which is higher than life expectancies in Japan and Australia. Women are also living long lives in Teton, Wyo. ; San Mateo and Marin, Calif.; and Montgomery, Md. For men, long life spans also can be found in Marin, Calif.; Montgomery, Md. ; Santa Clara, Calif.; and Douglas, Colo. Treat yourself to a healthy dose of all things Soul. Vail Soul Music Fest celebrates the heart of Soul Music with top musicians, empowerment events and cultural activities over three days and two nights of performances by some of the greatest Rhythm & Blues (R&B), conscious Hip Hop, alternative Rock, Blues & Neo Soul artists from around the world. This years artist line-up is an impressive collection of amazing talent which includes Grammy nominees and returning favorites from last year's inaugural fest. Poised as one of North Americas premiere pro cycling races, the USA Pro Cycling Challenge is a seven-day road race, that will feature elite professional teams and athletes from around the world. The USA Pro Cycling Challenge bike race brings the drama and excitement of professional cycling back to Colorado and to spectators around the globe. On August 25, Vail hosts Stage 3, the Individual Time Trial and on August 26, Avon hosts the start of Stage 4. Click on the photo below to view in a larger format! Slifer Smith & Frampton Real Estate (SSFRE) has been named the 65 largest real estate company in the country based on sales volume in the REAL Trends Top 500 Report recognizing the nation’s highest-producing real estate companies. The company produced 1,309 transaction “sides” representing sales volume of $1,371,868,349 in 2010 to qualify for this prestigious list of the country’s top 500 real estate firms. SSFRE has 24 offices and over 140 brokers covering the Vail Valley and Summit County. SSFRE was also recognized as the number two firm in the country based on Firms Ranked by Sales Volume Per Broker. In addition, the firm’s global network, Leading Real Estate Companies of the World®, once again was named the highest-producing network in terms of total sales for 2010 among this elite top 500 group of companies. The 97 LeadingRE affiliate firms on the Top 500 list produced 551,832 sales “sides” in 2010 totaling sales volume of $142.4 billion, over 30 percent more transactions than the closest competitor, Coldwell-Banker, with 415,540 units and 60 firms on the list. The power of local branding was further emphasized with #1 market share rankings for the nation’s top 96 markets. In that portion of the study, LeadingRE members ranked first in the market in 40% of the cities, compared to 24% and 11% for the next two networks. The Top 500 report was released recently at the REAL Trends “Gathering of Eagles” annual conference. This third-party survey is widely recognized as the leading study of its kind. The affiliates of Leading Real Estate Companies of the World® produced total 2010 sales of 800,000 valued at $225 billion. Slifer Smith & Frampton Real Estate has been the most trusted name in Colorado mountain real estate since 1962. $375,000, 3 bedrooms, 3 baths, 1,547 sq. ft. 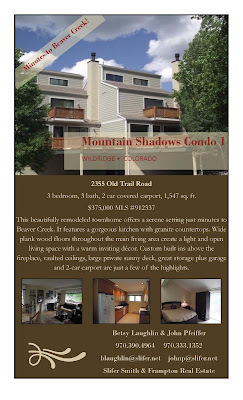 This beautifully remodeled townhome offers a serene setting just minutes to Beaver Creek. 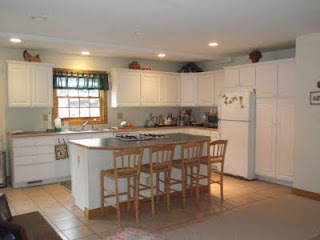 It features a gorgeous kitchen with granite countertops. Wide plank wood floors throughout the main living area create a light and open living space with a warm inviting décor. Custom built ins above the fireplace, vaulted ceilings, large private sunny deck, great storage plus garage and 2-car carport are just a few of the highlights. Incredible opportunity to own a beautiful home in East Vail at an exceptional value. Nestled in a peaceful alpine setting, enjoy a bright and airy floorplan with beautiful updates, spacious kitchen and bedrooms and log accents. Stunning views, access to private pond and great hiking. 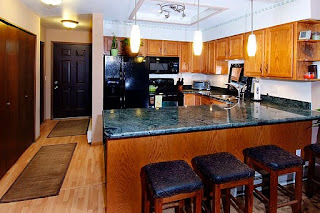 On the free Town of Vail bus route within minutes to the heart of Vail Village. The U.S. continues to remain a top destination for foreign buyers as international purchases surged by $16 billion this year, one of the highest increases in recent years. This is according to the National Association of Realtors®’ 2011 Profile of International Home Buying Activity. According to the survey, total residential international sales in the U.S. for the past year ending March 2011 equaled $82 billion, up from $66 billion in 2010. Total international sales were split evenly between non-resident foreigners and recent immigrants, while combined total domestic and international existing-home sales in the U.S. were $1.07 trillion. More recently, Realtors® have noticed new factors motivating foreign buyers. Many U.S. colleges and universities have a significant number of international students, and some foreign families are purchasing U.S. properties in college areas so their child has a place to live. Another source of international demand is foreign executives temporarily working in the U.S., some of whom prefer to purchase a residence instead of renting. Recent international buyers came from 70 different countries, up from 53 countries in 2010. For the fourth consecutive year, Canada was the top country of origin, with 23 percent of sales to foreigners. China was the second most popular country of origin, with nine percent of international sales this year. Tied for third were Mexico, the U.K., and India. Argentina and Brazil combined reported an increase in foreign sales with five percent, up from two percent in 2010. The top five countries of origin accounted for 53 percent of international transactions in 2011. According to a recent survey conducted by American Express Publishing and Harrison Group, rich Americans are expected to spend an extra $26.6 billion on luxury goods this year but they will do so with an eye toward value as the country recovers from recession. Spending on luxuries, excluding cars and travel, is set to rise 8 percent to $359 billion compared to 2010. While the number of affluent families planning to spend more has almost doubled in the past 3 years, they are emerging from the recesssion seeking value, quality and service for their money. The Survey of Affluence and Wealth in America polled 1,458 families with a discretionary income of more than $100,000, it found that 15 percent of these familieis plan to spend more in 2011, up a quarter from 2010. Rich families save an average of a quarter of their incomes annually and 34 percnet said they were looking to spend more this year. A large percentage feel less anxious about the American economy and feel they have become more resourceful and smart with their money management. Top floor 1-bed/2-bath plus a loft condo located in Sunriver. Two-level residence featuring a wood-burning fireplace, newly remodeled kitchen with slab granite, 2 decks, and covered parking. This spacious condo offers great storage and southern exposure. 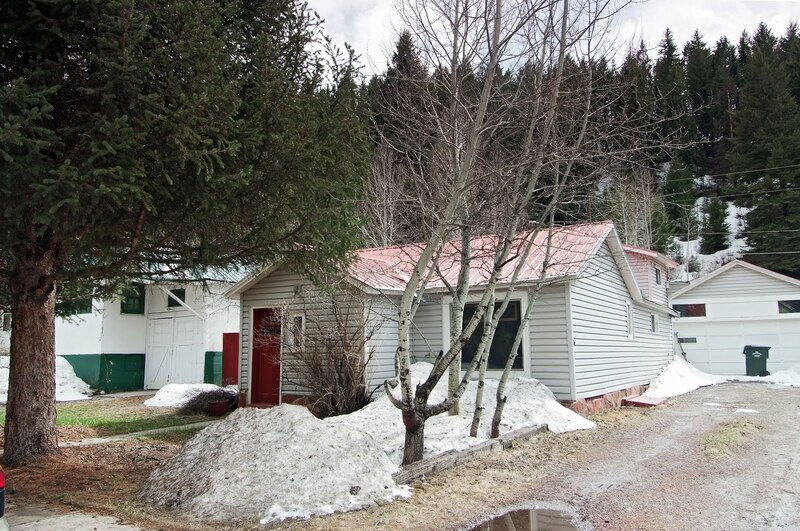 The building is located on the banks of Eagle River and the association has its own private access to the river. Common amenities include a pool in the summer and year round hot tub. 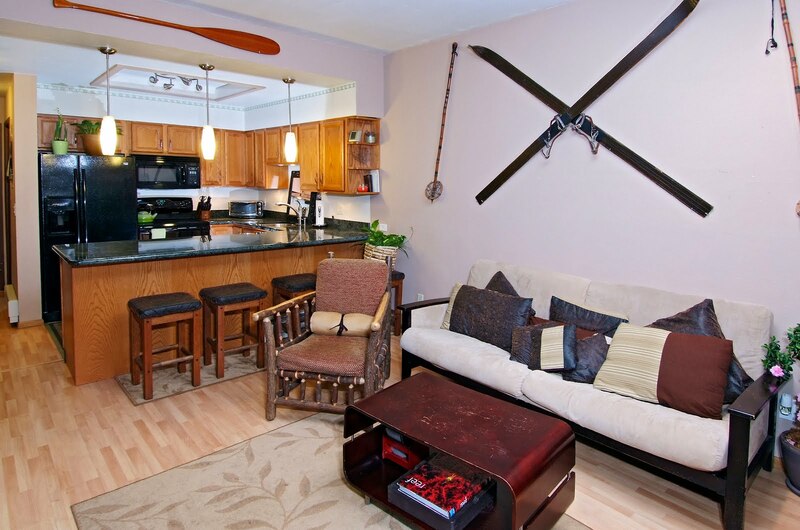 Enjoy all that the Vail Valley has to offer: convenience to skiing, shopping, and outdoor activities. VAIL, Colo. – Jan. 23, 2011 – Consistent winter storms have brought incredible powder to skiers and snowboarders at Vail with more than 270 inches of snowfall reported at mid-mountain this season, including more than a foot of fresh snow reported Sunday, Jan. 23. “With the help of Mother Nature this season, it’s difficult to remember better conditions in my 25 years with Vail,” said Chris Jarnot, senior vice president and chief operating officer for Vail Mountain. Sales in many vacation communities across the U.S. soared last year to levels not seen since boom times, driven by deep discounts, cash purchases and buyers' rising stock portfolios. On Mercer Island, Wash., waterfront sales nearly tripled in 2010, compared with a year earlier, reaching par with 2006 volume there. Sales on Hilton Head Island, S.C., rose 14% for the year. Palm Beach, Fla., experienced a 40% annual increase and a 54% increase in homes under contract, indicating an especially strong fourth quarter. Palm Beach sales volume now is comparable to its 2007 peak. These figures were gleaned by brokers in each locale. "The proverbial train has left the station," said Ned Monell, an agent with Sotheby's International Realty in Palm Beach. "We haven't felt energy like this in a long time. Buyers sense that they've been on the sidelines long enough." The question now is whether the momentum will last. The strength of second-home sales paints a stark contrast to the overall housing market, which is expected to worsen in 2011. Existing-home sales in November rose 5.6% on an annualized basis, according to the National Association of Realtors, a trade and lobbying group. Last month, the Case-Shiller housing index of 20 cities showed prices across the U.S. fell in October, and most analysts predict another 5% to 10% slide in the coming year. Data for the nationwide vacation-home market aren't tracked regularly. The National Association of Realtors conducts an annual survey of home buyers, but results for 2010 won't be out till March. Yet the market for vacation homes, based on local sales data, appears to be booming. The comeback, NAR economist Lawrence Yun said, has been helped by gains in the stock market and an improving economy, which have made wealthier Americans more upbeat about the future. "It also implies that prices in some markets have come down so much that people are fighting for those properties," said Mr. Yun, noting that demand is strongest in areas close to stable labor markets. According to the NAR, one in 10 real-estate transactions in 2009 was for the purchase of a vacation home. And though a small fraction of the overall market, it is significant because vacation homes are often big-ticket properties and attract discretionary buyers. Just four houses sold last year on Madeline Island, Wis., for example, but the island's average dwelling sells at two to three times the price of the county average, said Eric Kodner, a realty broker on the island. Sales of second homes are showing an uptick even in more-affordable communities. In some locations, prices are even inching upward. Cape Cod sales climbed nearly 9% in 2010 from 2009, while prices rose 7%. Monroe County, Pa., in the heart of the Pocono Mountains, saw a 3% decline in transactions, but its Lake Naomi resort community was up nearly 15%. A one-acre plot off Lake Naomi recently fetched $1.1 million, a record deal for the area. Still, in most markets where demand has improved, prices haven't. For Realtor Andy Twisdale in Hilton Head, S.C., it is too soon to rejoice; prices are down almost a third over the past five years. "People are buying at the very low end of the product," he said. "The financing is very difficult. Banks are requiring 25% down and crystal clean credit." Buyers who qualify or can pay cash say this is the time to take the plunge. On New Year's Day, the Makarewicz family arrived in Pocono Pines, Pa., to look for a vacation home. They already own their primary residence in northern New Jersey and own a property in Damascus, a northeastern Pennsylvania town along the Delaware River. But the family says the latter doesn't offer enough things to do: Not enough shopping. Not enough activities for kids. Not even enough fish. "How's the bass here?" Joe Makarewicz, a vice president for sales at a financial-services firm, asked Re/Max Realtor Rob Baxter as the two looked at floor plans. The family plans to sell the Damascus house, which would allow them to pay cash for one near Lake Naomi. The resort community at Lake Naomi boasts pools, tennis courts, a recreation center and a golf course—and is equidistant from New York and Philadelphia. Some second homes had been stuck on the market because sellers wouldn't budge on price; unlike owners of primary homes, they often aren't in a hurry to move. "Sellers have become aware that they have to price their homes accordingly," said Harald Grant, a senior vice president at Sotheby's in New York's ritzy Hamptons region. "There's a perk in the market because a lot of prices have come down to where they should be." This shift became clear to K. David Hirschey, who runs a consulting business in Minneapolis, as he hunted for a home on Madeline Island. After competing in a summer swimming competition on the island, Mr. Hirschey decided to buy a home there, perhaps to rent it a few years and maybe retire there eventually. The first offer he made was rejected, he recalled, because the seller said, "We don't negotiate on properties here." The same thing happened with his bid on the next house. Then he found a third property—four bedrooms, three baths—that began as a sale by owner, was taken off the market, then relisted under one broker, then another. It had been initially priced at $1.25 million, and remained on sale for two years. "When I saw it, it was listed at $687,000," said Mr. Hirschey, a father of four children. He offered $530,000, furnishings included. "They wanted to negotiate and I said no," he said. The tactic—an all-cash offer—worked, and Mr. Hirschey closed on the house in November, just in time for his family to spend the holidays there.